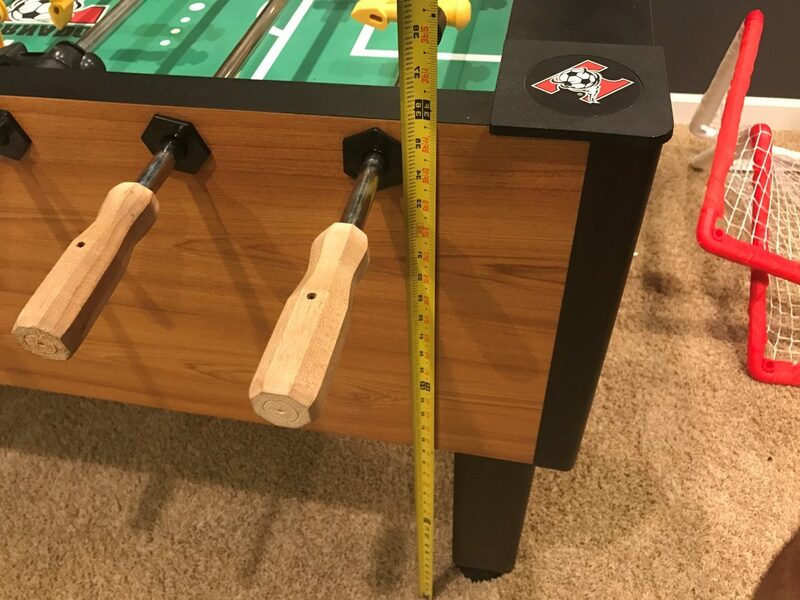 Home Foosball How much room do you need for a Foosball table? 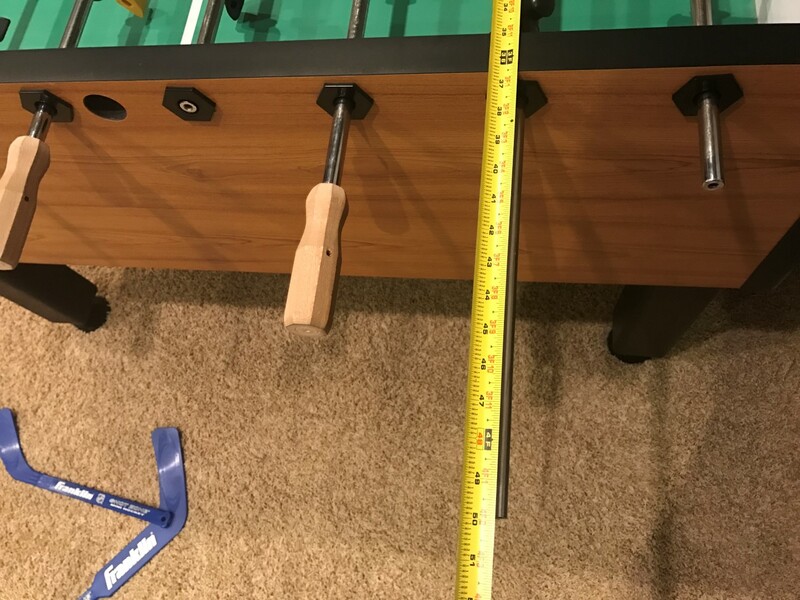 I found this out when I bought one and tried to haul it in my minivan, most minivans are setup to haul 4 x 8 sheets of plywood but the extra width of the Foosball table meant that I had to angle it some to actually get it in the back. The rods are also constantly sliding back and forth when moving. I’d recommend shrink wrapping the rods to prevent them from sliding around much. 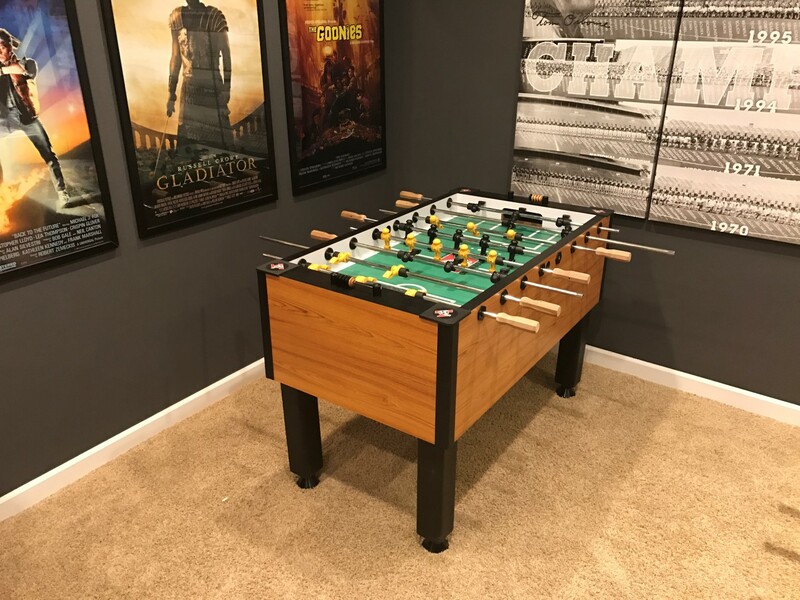 When it’s finally set up in your game room, at their greatest width the rods will take up 84″ + two people widths = ~108 inches. 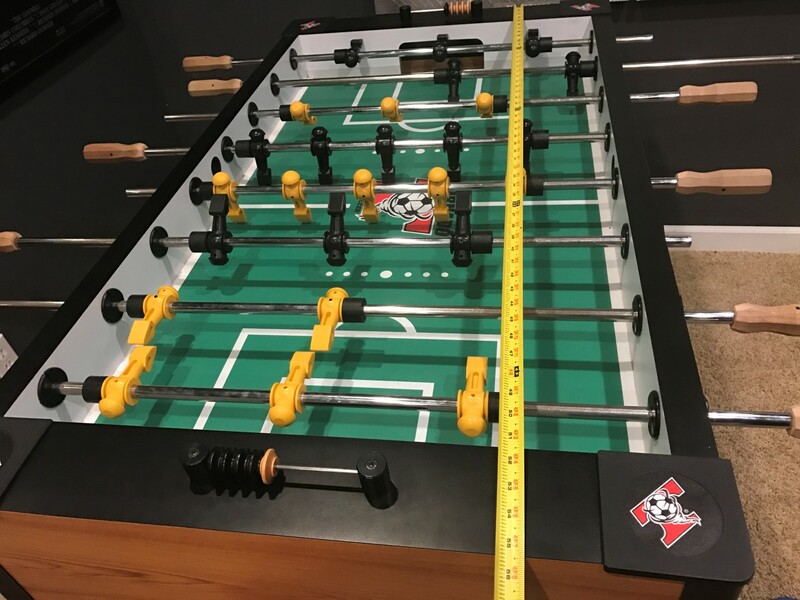 The length of the foosball table though stays constant at 4 foot though, which can help in some spaces. One thing I’d recommend if you’re tight for space, get one that has the ball return right where you serve the ball and not directly underneath the goals. If it’s underneath the goals, you won’t be able to put it against a wall due to needing to get the ball out. With the side return, you can compact the space it needs if necessary. The rods on this one don’t stick out the other side, making it a lot safer for younger children. It doesn’t really help with the space needed though, since the rods still pull out about the same distance width wise. It will be narrower to transport though since it’s the long rod with two men near the goal that’s the widest one.